Hollister Universal Remover Wipes for adhesives removal, will also remove medical barriers and cements. Ref. No. 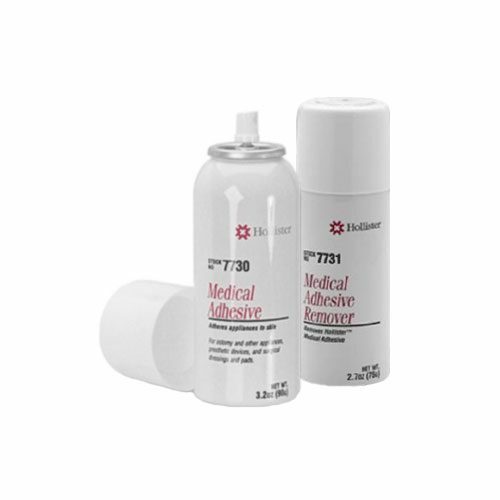 7760 They are also used to remove breast form tapes and spray on adhesives. Hollister Universal Remover Wipes. For the removal of adhesives and barriers. 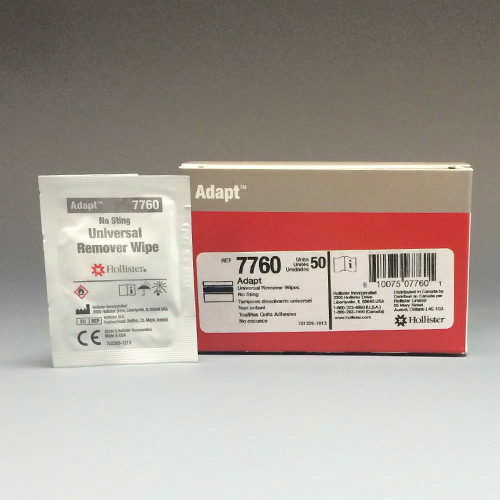 For use with Hollister adhesive spray or other medical tapes and cements. Breast form adhesives. For removing them and the residue they leave behind. Starting at the edge gently pull back the adhesive tapes from the skin. Continue to use the remover until completely removed. Wipe residue from skin and rinse well. Do not use on broken or irritated skin. Do not use near naked flames. Do not smoke whilst using. Nor Or near any incandescent material , electrical appliances or sources of ignition.